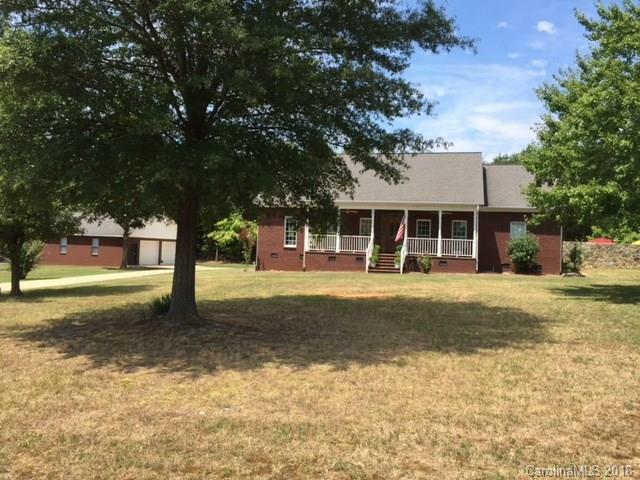 520 Jaycee Street, Faith, NC 28146 (#3415195) :: Robert Greene Real Estate, Inc.
Great home in Faith sitting on 1.4 acres of land. This home offers an open kitchen with a large Island. The Family room features a cathedral ceiling with a beautiful stone fireplace and built-ins on both sides. The master bath offers a man size hot tub and walk in closet. Wait until you see the outdoor living area. It offers an In ground pool with an abundance of deck space and a beautiful stone wall that surrounds the entire area including a coy pond with running waterfall. Out back there is a wired 32x40 workshop with pull down stairs and storage above. Behind the workshop is a huge aluminum shed tall enough for an RV. You have to see this home to appreciate all it has to offer. Sold by Key Real Estate.